Earlier today, Sleater-Kinney’s Carrie Brownstein released her deeply affecting memoir, Hunger Makes Me A Modern Girl via Riverhead Books. Read more about the book via her interview via Pitchfork today (see October 27th post). Sleater-Kinney’s previously announced 2015 tour schedule resumes November 21st-22nd in Mexico City’s Corona Capital Festival. Then from December 4th-16th, Sleater-Kinney will embark on a Midwestern-East Coast U.S. (details below). 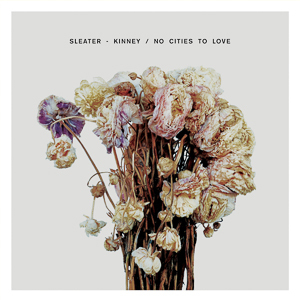 Sleater-Kinney’s No Cities To Love is one of the best reviewed albums of the year with “Best of 2015 (so far)” notices from the likes of Time, USA Today, Billboard, Rolling Stone, Entertainment Weekly, The AV Club, The Guardian, Complex, NME, Stereogum, PASTE, and SPIN. No Cities To Love is available worldwide from Sub Pop, and you can stream it here.